Are you looking for a die that lets you work at different scales? 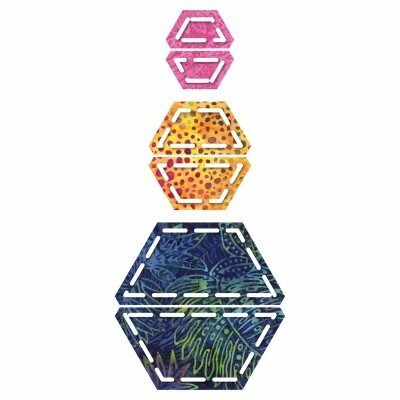 With three sizes of half hexagons, you can tackle all kinds of projects. The seam allowance is included in these half hexies for easy and accurate piecing.